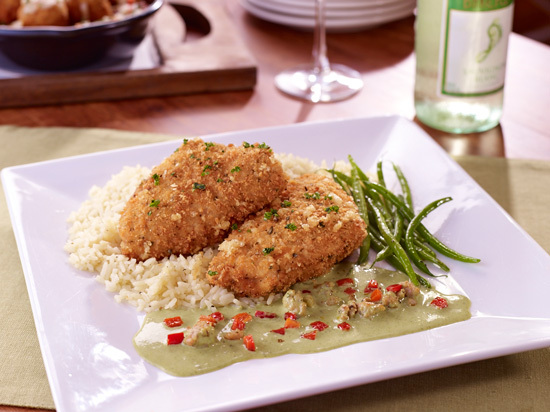 New York on a plate – that’s what you can look forward to when you visit TGI Fridays Davao from Sept. 16 to November 30. The popular American restaurant pays a fitting tribute to this bustling city that gave birth to some of the world’s delicious eats with six lip-smacking dishes that made New York famous. And I’m one lucky soul I got to sample all six of them. Starting off with Big Apple Burger. I haven’t been to New York, but they say it’s a serious contender for burger heaven, thanks to its 101 variations of this popular grub that ranges from the classic to the most decadent. 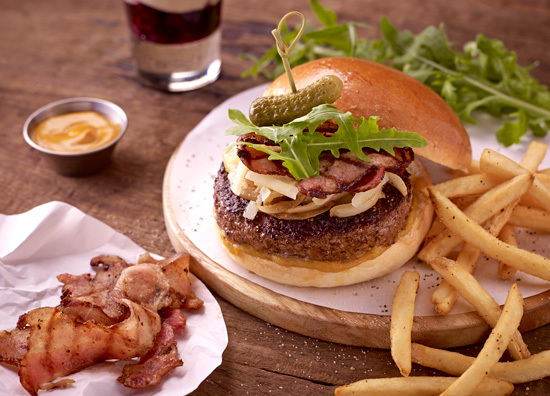 Take a big bite of this gastronomic delight with the Big Apple Burger, a symphony of flame grilled premium beef patty layered with sautéed onions, gruyere cheese, grilled pancetta and apple mustard served with fries. And it’s too generous a portion just for myself, hence, I can always share. Up next is Queens’ special. Queens’ vibrant food scene boasts of a different kind of gustatory experience, one that’s defined by the tastes and flavors of ethnic cuisines from around the world. 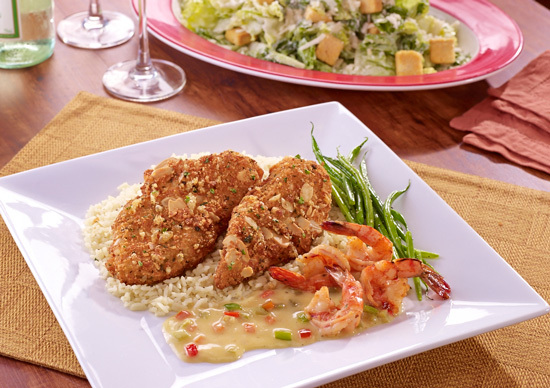 Friday’s recreates a dish inspired by this borough with the exquisite Queens Almond-Crusted Tilapia and Jalapeno Shrimp, which bring together the lovely fresh flavours of tilapia and sauteed Cajun shrimps with rice pilaf and lemon cream sauce. Full meal like no other, so good! Moving on to Manhattan. One day soon I’ll be walking your streets for food. Meantime, with its eclectic mix of restaurants, one day is not enough to try each and every single dish Manhattan has to offer. But you can always start somewhere, like this Manhattan Sausage Stuffed Chicken, plump and juicy chicken breasts stuffed with Italian sausages and cheese, served with rice pilaf and pesto cream. For an eternal chicken fan like me, this dish is a delightful and satisfying feast. I know, I know that when in New York do what the locals do which is, eat hotdogs! 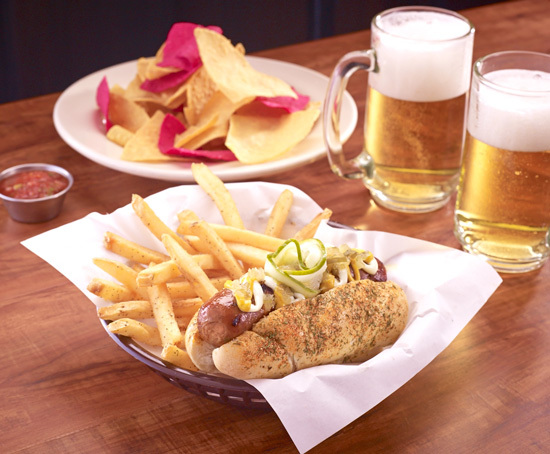 The restaurant offers a gourmet take on this signature street food with the Madison Hotdog, juicy char grilled Andouille sausage in herb bun topped with pickled cucumber and drizzled with a classic combination of mustard and mayonnaise. Now that’s a wiener! The Bronx is home to New York’s real “Little Italy” where quite a number of authentic Italian ristorantes, pastry shops and pizzerias have taken root. 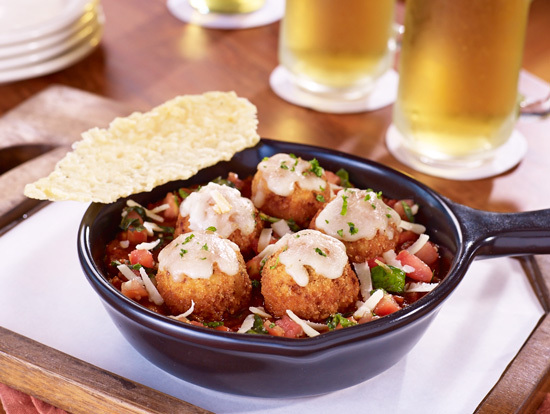 TGI Friday’s Bronx Crispy Chicken Parmesan Meatballs is a nod to the area’s strong Italian influence and is made with succulent meatballs stuffed with mozzarella and served with marinara sauce, marinated tomatoes and parmesan crisps. I can live with just these meatballs alone, they’re really good! What’s not to love about milkshakes? New Yorkers love this quintessential beverage so does TGI Friday’s. 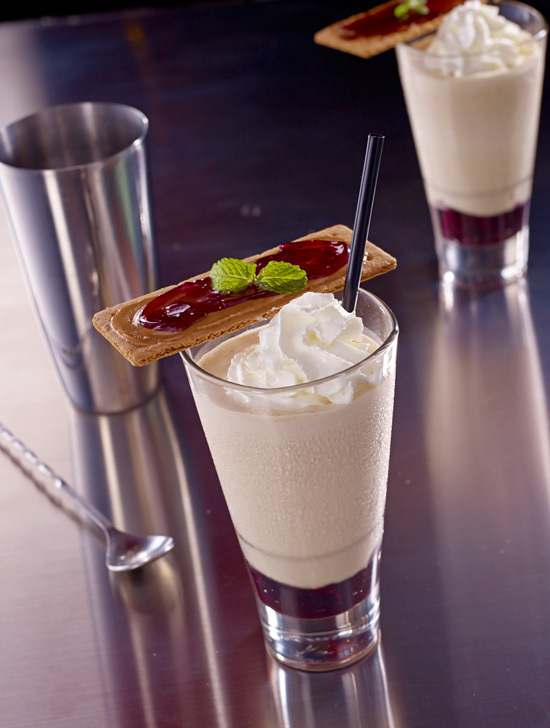 Indulge in some thick and creamy goodness with Broadway Peanut Butter Jelly Milkshake, a rich concoction of peanut butter blended with vanilla ice cream on a layer of blueberry jelly, finished off with whipped cream and served with peanut butter jelly crust. 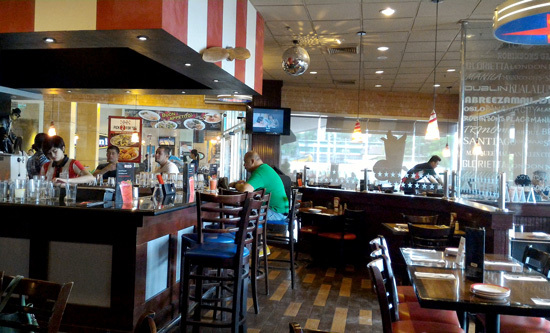 Have a “Taste of New York” at TGI Fridays and while you’re at it, sample other American dishes such as signature burgers, juicy steaks, and Jack Daniel Grill specialties, as well as pastas, salads, and sinful desserts served every day of the year.